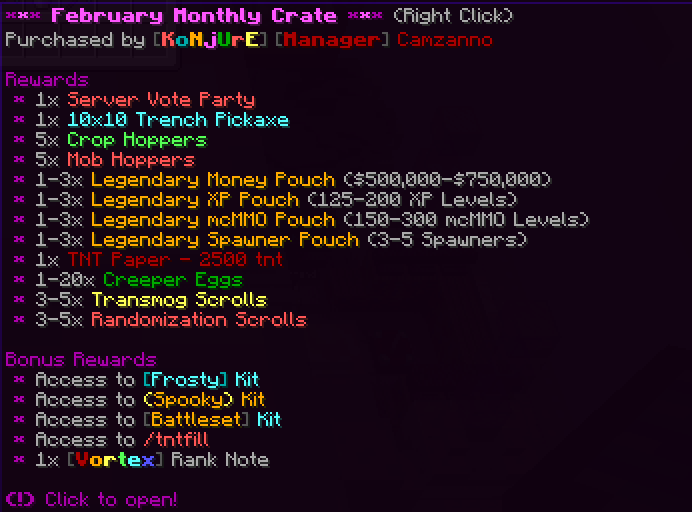 The monthly crate for February has now been released! Finally, congratulations to "HaroldFinch" for winning the raffle draw for vortex rank! Please contact me me on discord @ Cam ツ#9844 to receive your Vortex rank note! If you are not already a member join our discord @ https://vortexpvp.com/discord to stay the most up-to date on server events and announcements! It’s not letting me join discord link ?